The 90s signaled the return to movie theaters, as the introduction of the multiplex drew audiences to cinemas once more. This trend gave an even bigger boost to anime productions than the 80s, with Hayao Miyazaki, Mamoru Oshii, and Satoshi Kon producing some of their trademark films during this decade. 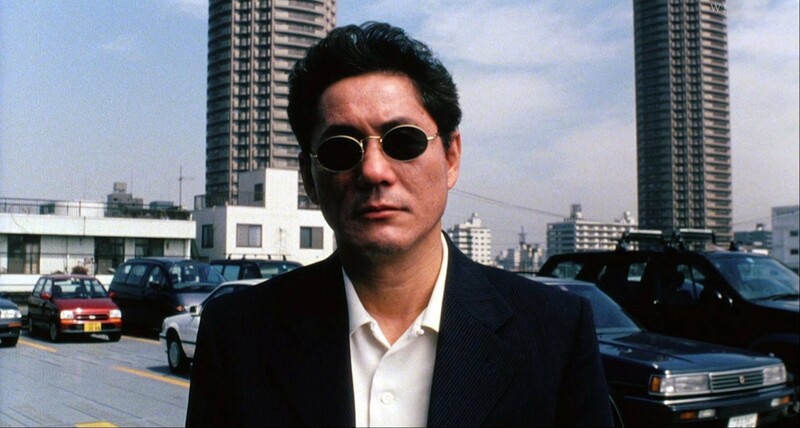 Takeshi Kitano, Takashi Miike, and Kiyoshi Kurosawa, who had started their careers in cinema in the previous decade, became international sensations. Akira Kurosawa directed his last film and Shohei Imamura became only the fourth filmmaker to win two Palme d’Or awards at Cannes. Hirokazu Koreeda kickstarted his career, which would later make him one of the most renowned contemporary Japanese filmmakers. Naomi Kawase also started gaining international recognition, and Shunji Iwai directed one of the most successful films of the decade. Lastly, J-horror, the genre that had the most appeal among international audiences, made its appearance with “Ringu”. Here are 20 of the best films of the 90s, with a focus on diversity. I have made an effort to place the titles in order of quality, but due to the number of masterpieces included, the order could easily be different. A team of ninjas arrive at a village to investigate an epidemic that killed all of its inhabitants. However, they find themselves ambushed by a monster and end up dead, except for a female that the monster takes captive. Juubei, a masterless samurai, saves her, but ends up in the middle of a larger case, which results in him having to fight the Eight Demons of Kimon. Yoshiaki Kawajiri directed an impressive anime that separates itself from the mass of similar titles due to its elaborate script, interesting though perverse characters, astonishing battles, and very graphic depiction of violence, even sexual violence. Furthermore, the animation, which also includes some Western elements, is fast, fluid, and overall splendid, although in a title that is exclusively addressed toward adults. 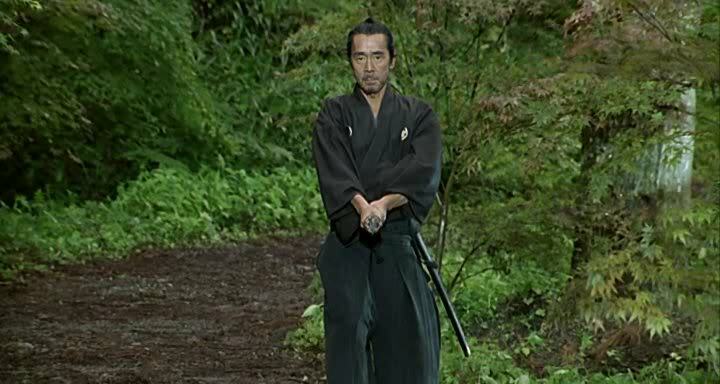 Kawajiri took the concept of the ninjas and gave it a new and extreme form, creating a tendency both in anime and in live-action films in the process. 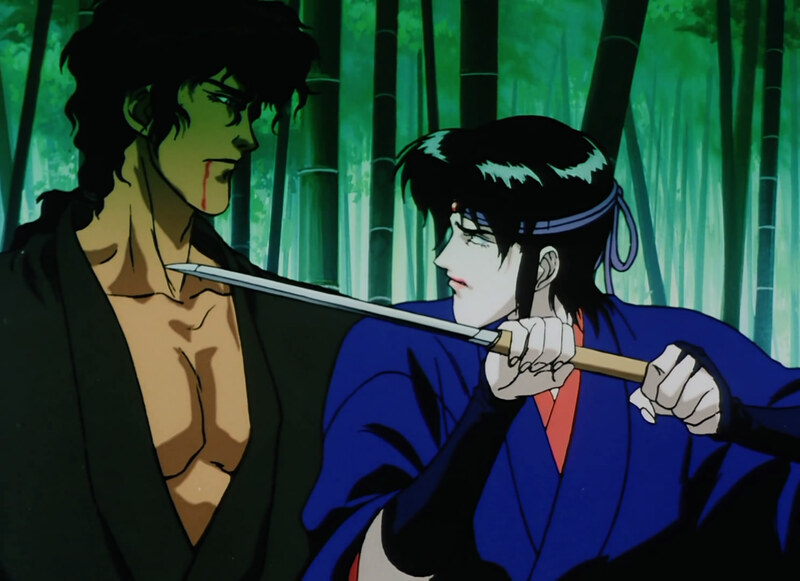 “Ninja Scroll” remains to this day one of the most celebrated anime of all time, particularly among the fans of cult. With Akira Kurosawa’s former assistant for 28 years at the helm, with the master himself as the scriptwriter, and Tatsuya Nakadai and the son of Toshiro Mifune among the cast, “After the Rain” could not avoid being one of the most celebrated productions of the era. Ihei Misawa, a ronin, and his wife are stuck at an inn for several days due to heavy rain that has flooded the nearby river. Misawa quickly becomes very popular among the other travelers staying at the inn, and also proves his competence with the sword. His abilities draw the attention of the local lord, Hideaki, who eventually hires him as his retainer. However, as Hideaki’s advisors do not sympathize with Ihei, the reasons that such a competent man is still a ronin are revealed. Takashi Koizumi directs a very old-fashioned film, as he did not include any of the new cinematic technologies, resulting in a production that seems to belong to previous decades. However, this trait, which is chiefly exemplified in the magnificent battle scenes, injects the movie with a sense of nostalgia, as it captures the essence of older entries in the genre. Shohei is a content but somewhat bored accountant and family man. One day, while he is traveling by train, he catches a glimpse of Mai in a dance school. He decides to secretly enroll in dance lessons, which he begins attending every Wednesday night. However, his wife, Masako, thinks that he’s having an affair and hires a private detective to follow him. Masayuki Suo directs a film that combines social and psychological depths with intrigue and a number of comedy bits, thus managing to present a picture that is both highly entertaining and provides “food for thought.” With the help of the perfectly fitting music by Yoshikazu Suo, he managed to retain a subtle but meaningful essence. Koji Yakusho as Shohei and Tamiyo Kusakari as Mai give wonderful performances, in perfect harmony with the film’s aesthetics. Overall, the production is a masterpiece of contemporary Japanese cinema. 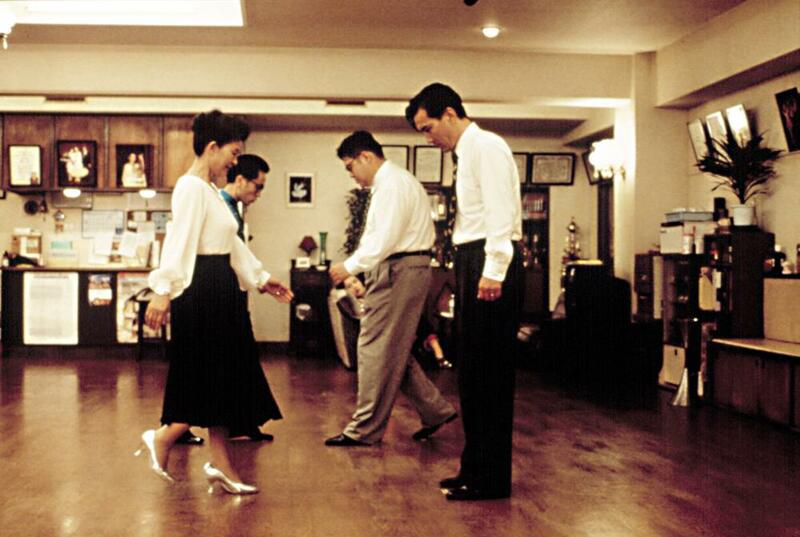 “Shall We Dance?” took the Japanese Academy by storm, winning 13 awards, among a plethora of others from various Japanese and international competitions. Hirokazu Koreeda’s debut exemplified the influence Yasujiro Ozu had on him, as it established him as the master’s contemporary successor. The film revolves around Yumiko, a happily married woman with a 3-month-old baby. Her life changes radically when her husband dies in an apparent suicide. A few years later, Yumiko agrees to an arranged marriage with a widower, Tamio, and the three of them move to his birthplace, a fishing village. Koreeda directs a film where grief is the main subject, as Yumiko demonstrates it with subtlety. Every aspect of the film works to express this feeling, including the long shots, the use of natural light, the slow pace, and the melancholic soundtrack. Makiko Esumi gives a great performance in the protagonist role. Jojima is a competent police officer who happens to retain connections with the local Yakuza and their leader, Satake. Jojima is about to ask for a loan to pay for his daughter’s medical expenses. However, at that point, another outlaw named Ryuichi makes his appearance and proclaims that he intends to take over Shinjuku with his small band of criminals. 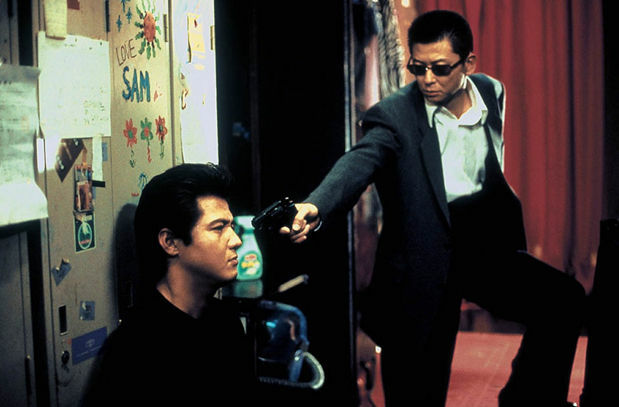 Takashi Miike directs a Yakuza film that is chiefly characterized by the presence of many anti-heroes and the permeating immorality that rules the Japanese “underworld”. However, these harsh and cruel characters seem to indulge in loving sentiments for mothers, daughters, brothers, and girlfriends, in a notion that mockingly gives a sense of a soap opera. Furthermore, he retained his V-cinema aesthetics and the preposterousness that always characterized his works, both in script and in separate scenes. The first scene, which is filled with color, psychedelics, and violence, and the final one, which is as shocking as it is violent, are the ones that stand out the most. 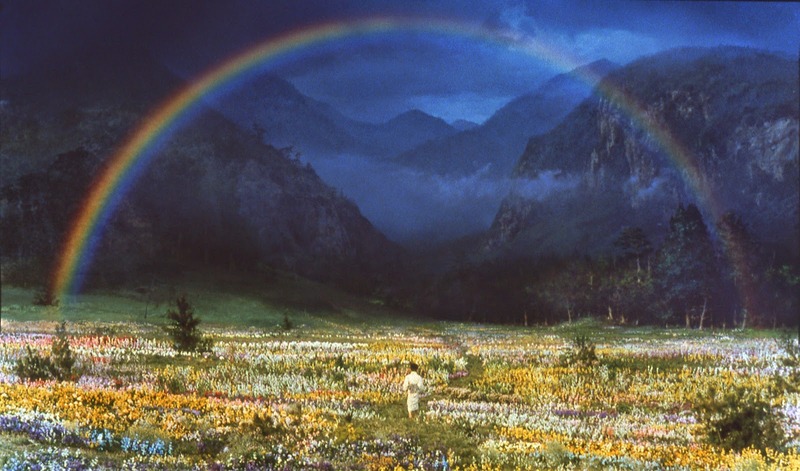 “Dreams” is one of the Akira Kurosawa’s films that stand out, since it was based on actual dreams by the Japanese master. Warner Bros’ funded the production with assistance from George Lucas, Francis Ford Coppola, and Steven Spielberg. The film is episodic, following a number of characters who are actually Kurosawa himself, through eight different settings. A boy watches the wedding ceremony of foxes that occurs only when sun and rain coexist. Sixty living dolls demonstrate on a mountain slope. A group of mountaineers climb a mountain amidst a terrible storm. An old man meets Van Gogh, played by Scorsese. A band of dead soldiers cross a dark tunnel. A large nuclear plant explodes near Mount Fuji. A man wandering alone meets a demon-like human. A young man enters a village where he meets an old man who tries to fix a watermill. Kurosawa directs a very personal film, without emphasizing in cohesion, since his thoughts are paraded on screen through images of extreme beauty, in a production that looks more like a collage than an actual movie. In the process, he manages to combine reality with utopia, the beauty of life with terror of death, the joy of creation with the rage of destruction.